If You Like Malcolm Gladwell, Try….Why? We haven’t done a non-fiction book list in a while! Since all our Malcolm Gladwell titles are checked out, we’re going to recommend some other titles in our collection for you! We’ve got everything here from Chicago gangs to villains to the Olympics on our shelves. The story of the young sociologist who studied a Chicago crack-dealing gang from the inside captured the world’s attention when it was first described in Freakonomics. 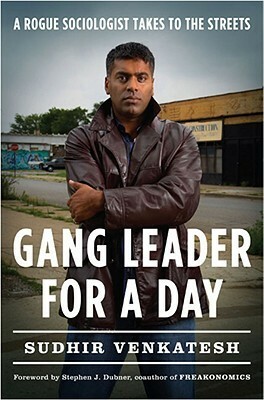 Gang Leader for a Day is the fascinating full story of how Sudhir Venkatesh managed to gain entrance into the gang, what he learned, and how his method revolutionized the academic establishment. When Venkatesh walked into an abandoned building in one of Chicago’s most notorious housing projects, he was looking for people to take a multiple-choice survey on urban poverty. A first-year grad student hoping to impress his professors with his boldness, he never imagined that as a result of the assignment he would befriend a gang leader named JT and spend the better part of a decade inside the projects under JT’s protection, documenting what he saw there. Over the next seven years, Venkatesh got to know the neighborhood dealers, crackheads, squatters, prostitutes, pimps, activists, cops, organizers, and officials. From his privileged position of unprecedented access, he observed JT and the rest of the gang as they operated their crack-selling business, conducted PR within their community, and rose up or fell within the ranks of the gang’s complex organizational structure. In Hollywood-speak, Gang Leader for a Day is The Wire meets Harvard University. It’s a brazen, page turning, and fundamentally honest view into the morally ambiguous, highly intricate, often corrupt struggle to survive in what is tantamount to an urban war zone. It is also the story of a complicated friendship between Sudhir and JT-two young and ambitious men a universe apart. 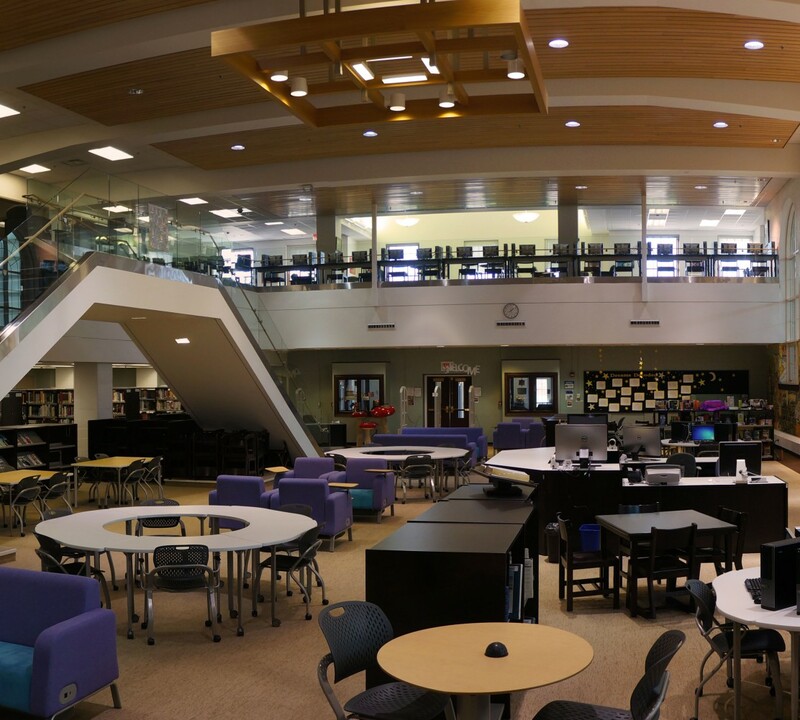 In just the last few years, traditional collaboration—in a meeting room, a conference call, even a convention center— has been superseded by collaborations on an astronomical scale. A brilliant guide to one of the most profound changes of our time,Wikinomics challenges our most deeply-rooted assumptions about business and will prove indispensable to anyone who wants to understand competitiveness in the twenty-first century. Contagious combines groundbreaking research with powerful stories. Learn how a luxury steakhouse found popularity through the lowly cheese-steak, why anti-drug commercials might have actually increased drug use, and why more than 200 million consumers shared a video about one of the seemingly most boring products there is: a blender. If you’ve wondered why certain stories get shared, e-mails get forwarded, or videos go viral,Contagious explains why, and shows how to leverage these concepts to craft contagious content. 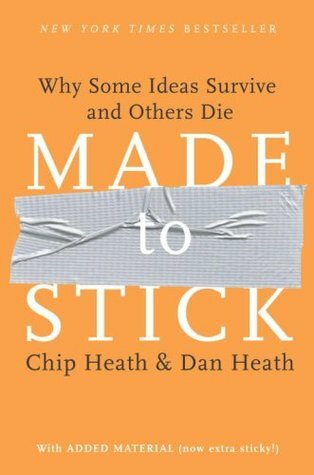 This book provides a set of specific, actionable techniques for helping information spread—for designing messages, advertisements, and information that people will share. Whether you’re a manager at a big company, a small business owner trying to boost awareness, a politician running for office, or a health official trying to get the word out, Contagious will show you how to make your product or idea catch on. From New York Times bestselling author, “one of America’s top cultural critics” (Entertainment Weekly), and “The Ethicist” forThe New York Times Magazine, comes a new book of all original pieces on villains and villainy in popular culture. Chuck Klosterman has walked into the darkness. As a child, he rooted for conventionally good characters like wide-eyed Luke Skywalker in Star Wars. But as Klosterman aged, his alliances shifted—first to Han Solo and then to Darth Vader. Vader was a hero who consciously embraced evil; Vader wanted to be bad. But what, exactly, was that supposed to mean? When we classify someone as a bad person, what are we really saying (and why are we so obsessed with saying it)? 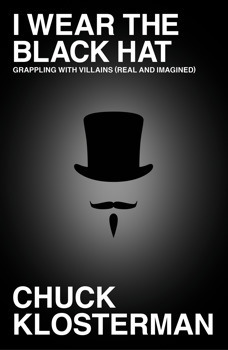 In I Wear the Black Hat, Klosterman questions the very nature of how modern people understand the culture of villainy. What was so Machiavellian about Machiavelli? Why don’t we see Batman the same way we see Bernhard Goetz? Who’s more worthy of our vitriol—Bill Clinton or Don Henley? What was O.J. Simpson’s second-worst decision? And why is Klosterman still obsessed with some kid he knew for one week in 1985? Masterfully blending cultural analysis with self-interrogation and limitless imagination, I Wear the Black Hat delivers perceptive observations on the complexity of the anti-hero (seemingly the only kind of hero America still creates). I Wear the Black Hat is the rare example of serious criticism that’s instantly accessible and really, really funny. Klosterman is the only writer doing whatever it is he’s doing. One of the most popular Fortune articles in many years was a cover story called “What It Takes to Be Great.” Geoff Colvin offered new evidence that top performers in any field–from Tiger Woods and Winston Churchill to Warren Buffett and Jack Welch–are not determined by their inborn talents. Greatness doesn?t come from DNA but from practice and perseverance honed over decades. Why does recalling the Ten Commandments reduce our tendency to lie, even when we couldn’t possibly be caught? When it comes to making decisions in our lives, we think we’re in control. We think we’re making smart, rational choices. But are we? Not only do we make astonishingly simple mistakes every day, but we make the same “types” of mistakes, Ariely discovers. We consistently overpay, underestimate, and procrastinate. We fail to understand the profound effects of our emotions on what we want, and we overvalue what we already own. Yet these misguided behaviors are neither random nor senseless. They’re systematic and predictable–making us “predictably” irrational. From drinking coffee to losing weight, from buying a car to choosing a romantic partner, Ariely explains how to break through these systematic patterns of thought to make better decisions. 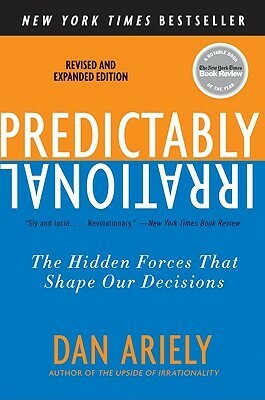 “Predictably Irrational” will change the way we interact with the world–one small decision at a time. 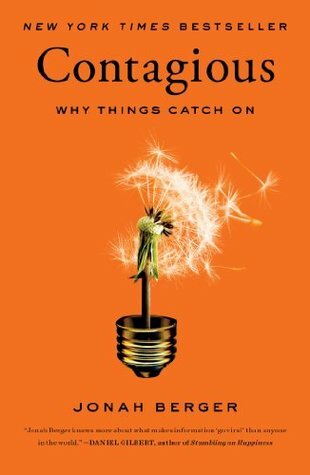 An engaging explanation of the science behind Malcolm Gladwell’s bestselling Blink. Gerd Gigerenzer is one of the researchers of behavioral intuition responsible for the science behind Malcolm Gladwell’s bestseller Blink. Gladwell showed us how snap decisions often yield better results than careful analysis. Now, Gigerenzer explains why our intuition is such a powerful decision-making tool. Drawing on a decade of research at the Max Plank Institute, Gigerenzer demonstrates that our gut feelings are actually the result of unconscious mental processes—processes that apply rules of thumb that we’ve derived from our environment and prior experiences. The value of these unconscious rules lies precisely in their difference from rational analysis—they take into account only the most useful bits of information rather than attempting to evaluate all possible factors. By examining various decisions we make—how we choose a spouse, a stock, a medical procedure, or the answer to a million-dollar game show question—Gigerenzer shows how gut feelings not only lead to good practical decisions, but also underlie the moral choices that make our society function.